Steve jobs rightly quoted, “Those who are crazy enough to think they can change the world usually do”. 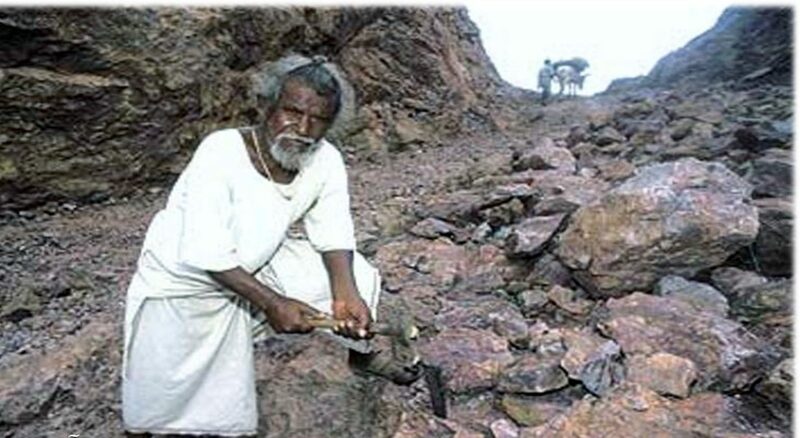 Being poor or the feeling of powerlessness didn’t stop Dashrath Manjhi to break a mountain down. Dashrath Manjhi, also known as Mountain Man, was a poor labourer in Gehlaur village, in Bihar. He carved a path 360 ft long, 30 ft wide and 25 ft deep through a hillock using only a hammer and chisel. The Gehlour hills are a low-but-treacherous spine of mountainous terrain that once divided the settlements and services on either side. In fact, many villagers from Manijhi’s town had to trek for miles around the hills just to reach their fields and schools. It all started when, Faguni Devi slipped and seriously injured herself, While crossing Gehlour hills to bring manjhi lunch, which eventually led to her death. The nearest medical facility was over 64.374 kilometres away and Devi perished shortly after her accident. Manjhi vowed to carve a path through the Gehlour hills so that his village could have easier access to medical attention, that very night. When he began the mad task he was mocked upon by the villagers but that didn’t stop him. And 22 years later manjhi did the impossible. He shortened the travel between the Atri and Wazirganj blocks of Gaya town from 55 km to 15 km. In 2015, a Hindi movie Manjhi – The Mountain Man was released where Nawazuddin Siddique portrayed the character of Manjhi. Though not much is talked about Manjhi, he is still an undoubted hero through the art of giving. He gave up the most important of all things in life – 22 years of his life to save people from furthermore damage.